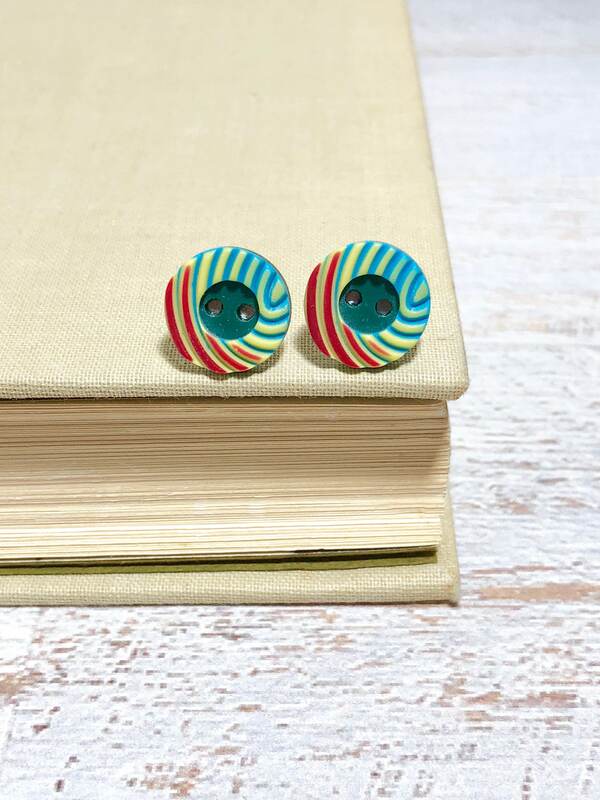 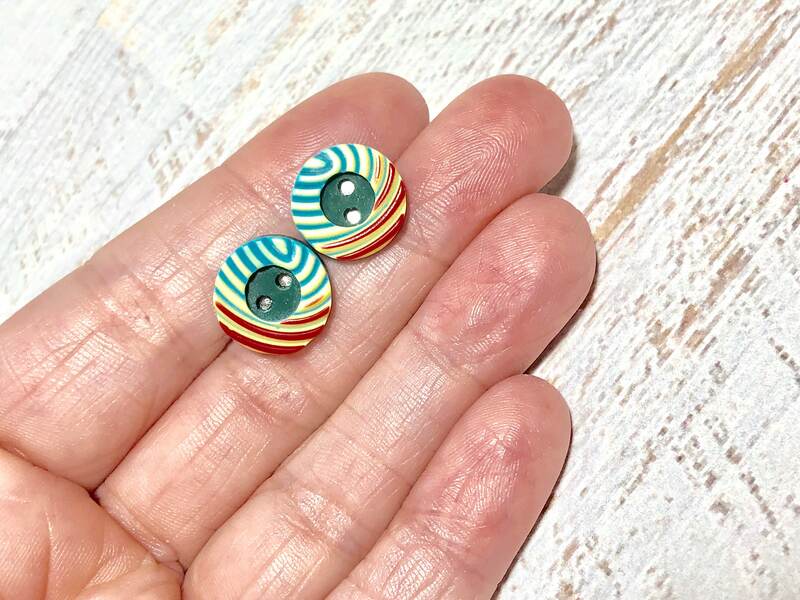 I used really cool retro mod red, yellow and teal sewing buttons that have swirls carved into them & surgical steel posts to make these cool earrings. 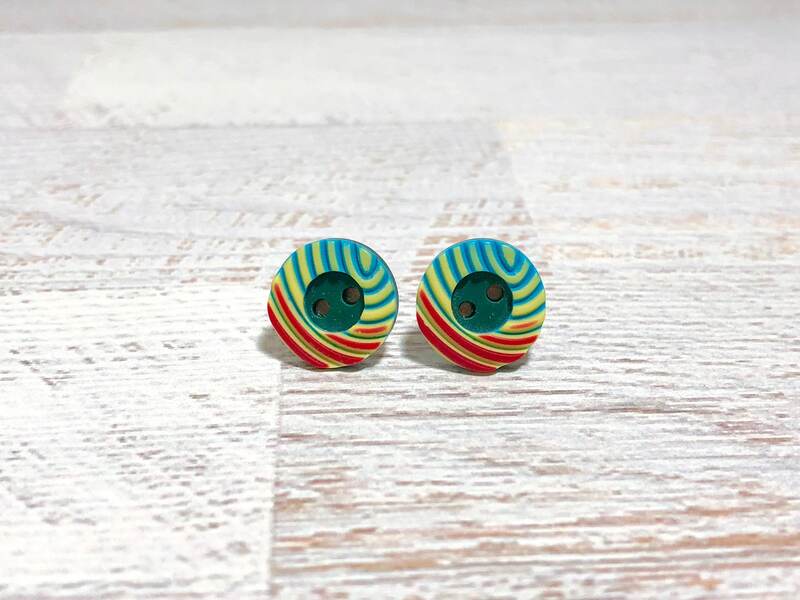 The buttons measure about 1/2" (12mm) in diameter. 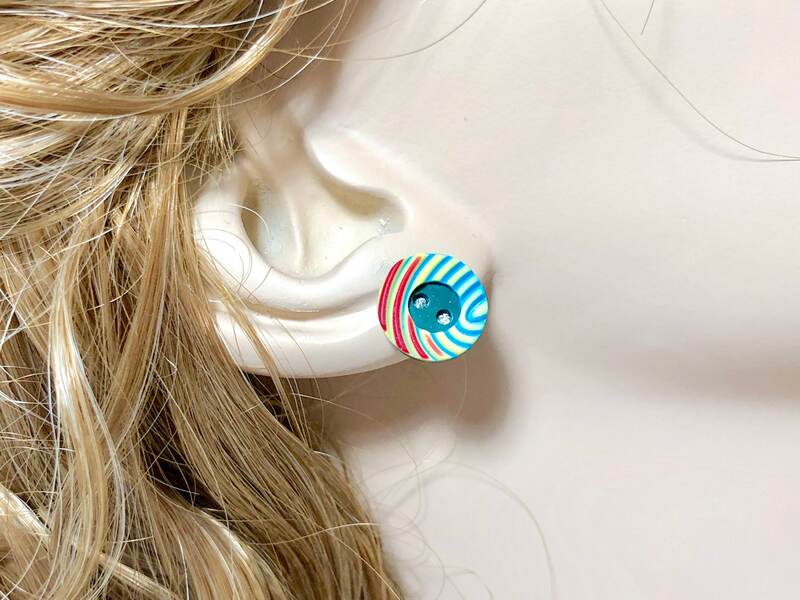 All stud earrings are MADE TO ORDER so please allow up to 72 hours for me to make your earrings before I ship them.